← Evidence shows individuals who are afraid to move because of a fear they will reinjure themselves could particularly benefit from physical therapy to reduce chronic leg pain. Why is poor posture contributing to your shoulder pain? Slumped forward posture (slouching) not only affects spinal alignment over time but it changes the position of your shoulder blades as they tip forward and wrap outwards to accommodate a slouched position. Ultimately, this alters how our shoulder blades move. A recent study1 reports that when healthy people were placed in a slouched position, shoulder movement was reduced by 15%. For every two degrees of shoulder movement, the shoulder blade contributes one degree of movement. This is known as the scapulohumeral rhythm. When the shoulder blade is not moving properly due to poor posture, it can cause a “pinching” of the rotator cuff muscle tendons when you raise your arm up or out. This is known as shoulder impingement. When this is consistently happening, much more wear and tear on the rotator cuff tendons may occur. Over time, this can lead to rotator cuff tendinitis, or tendinosis. Sitting in a slouched position also tightens the muscle in the front of your chest and weakens the muscles in your upper back between your shoulder blades. This muscle imbalance will contribute to poor shoulder movements and over time may lead to muscle pain that has no specific cause or incident of injury. Practice good postures. Sit up tall with shoulder blades down and back. 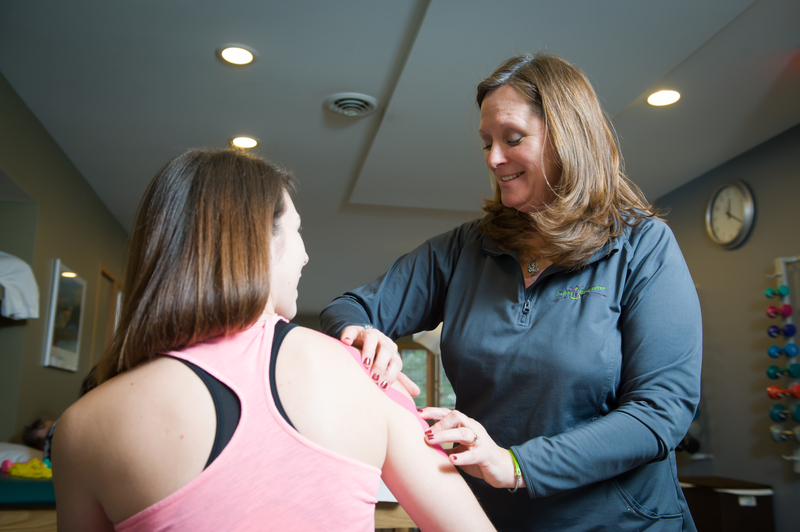 Don’t hesitate to schedule a free consultation with a physical therapist at Creative Therapeutics to discuss questions or concerns about your postures and/or shoulder pain. Kebaetse, Maikutlo, McClure, Pratt. Thoracic position effect on shoulder range of motion, strength, and three-dimensional scapular kinematics. Arch Phys Med Rehab. 1999; 80. This entry was posted in stretching, Physical Therapy and tagged shoulder pain, thoracic, physical therapy, orthopedic, shoulder. Bookmark the permalink.